Annie and Michael Lampard from Stratford upon Avon, in the UK met in high school. They liked each other, but were both very shy back then, too shy to do anything about it. They grew up and both got married to other people, but those marriages ended and eventually they got together when we were 35 and 36 respectively. They got married in 1991. Mick had always wanted to go to Las Vegas, and his 60th birthday was coming up. They booked five days at the MGM. Coincidentally, Annie and Mick’s 20th wedding anniversary was coming up that same year, so Mick suggested that while they were in Vegas celebrating his 60th birthday, they might renew their wedding vows too. Annie and Mick are a fun couple, and they briefly considered a “hound dog wedding’ which would be conducted by an Elvis lookalike. 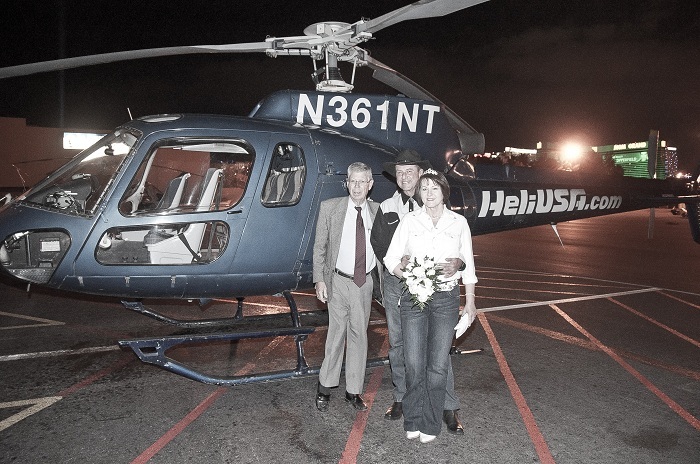 In the end they chose the renew their vows while in a helicopter flying over the Las Vegas strip at night. 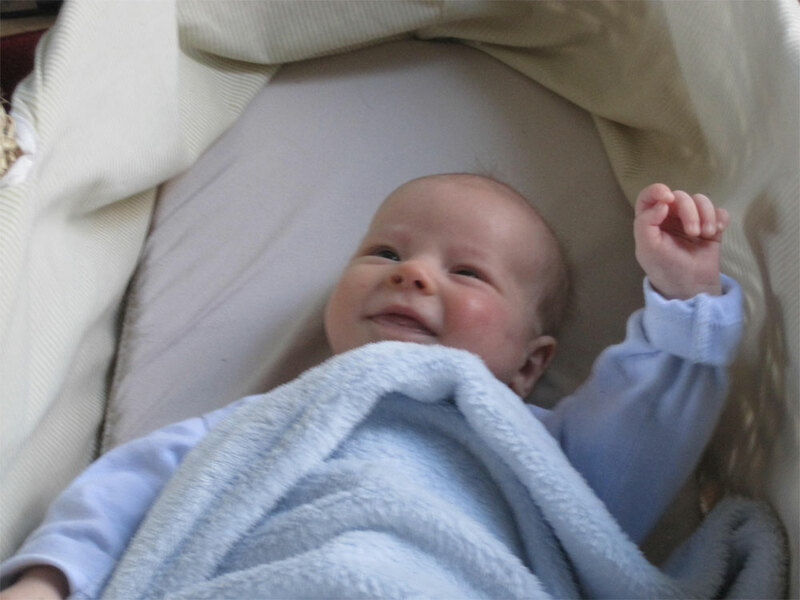 Annie said “that proved to be one hell of an experience” and they cannot recommend it enough. 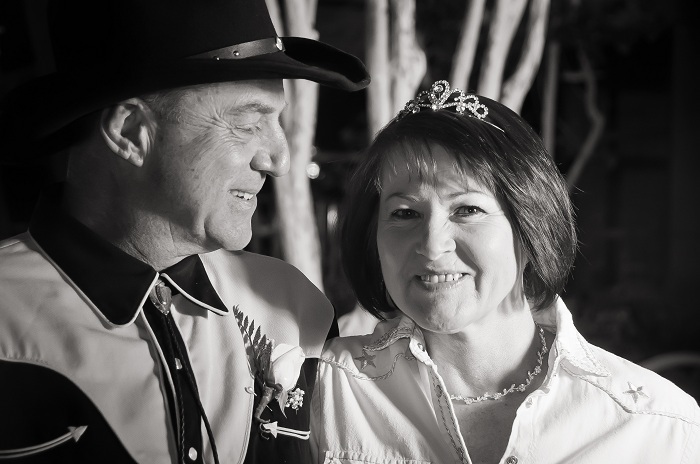 They chose a cowboy theme for their outfits, Annie’s cowboy boots were white leather, and, as you can see from the photos, she looks great in them, especially along with the tiara! Mick wore a black Stetson type hat with his cowboy gear. Annie’s flowers were white roses. She did her hair herself but had found a make-up artist to come to the hotel room for just $35. 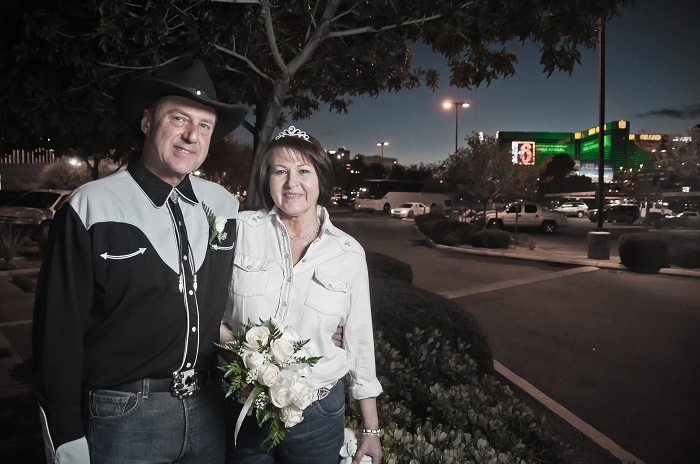 Some of the couple’s family thought they were a little crazy doing this in Las Vegas, but Annie’s son and daughter-in-law thought it was great idea and came along to Vegas to join in the celebrations. The four of them were collected from the hotel by a white limo in the early evening to be taken to the airport. They had a bridal bouquet, buttonholes, a bottle of champagne and a wedding cake all waiting for them in the limo. At the airport they met with the minister, photographer and wedding organizer to go through all the procedures for the ceremony. They made sure to get lots of photos taken before, during and after the flight. After leaving the airport they all had a meal in the ‘Wild Onion’ restaurant in Hooters and shared their wedding cake with some of the waitresses. They certainly made the most of their five days in Las Vegas, seeing the surrounding areas. One day they visited the Grand Canyon, and drove to Utah another day. They spent one evening in the Downtown area of Las Vegas, eating at the Main Street Station casino, which they enjoyed. 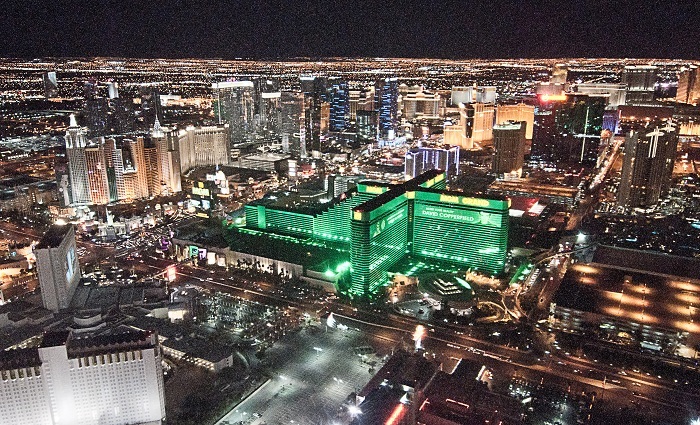 The Strip does have so much to see, though, and they spent a lot of time trying out all those casinos. It will not come as a surprise to many people that weather in Las Vegas is quite often hot and sunny. I am asked about the weather in Las Vegas quite often, by my friends back home in England, and also by couples asking me to organize their weddings for them as part of my Las Vegas wedding planning business. Las Vegas is a city in the Mojave Desert. So, we do enjoy sunshine all year round. We have 300 days of sunshine a year on average. But that leaves around two months’ worth of not-so-sunny days. Vegas does have seasons, which I find surprises some people. The Winter months are pretty mild compared to most places, around 15C or 60F in the daytime, and usually accompanied by strong sunshine in the middle of the day. The sun sets early in the day in the Winter, at around 4:30pm, then it gets quite cold quite quickly in the Winter. We see temperatures around the freezing level most nights during December through February. The Winter is not especially rainy, though we do see some rainy days, we also get a few sandstorms, but these tend to be away from the Strip. The mountains around Las Vegas do see some snow, and you can even do a little skiing on Mount Charleston. High Summer is hot. August, the hottest month, sees daytime average temperatures of 39C or 103F. The sun will be too strong for being outside for any length of time to be pleasant. However, this means that nights are also very warm, with low temperatures of around 23C or 74F. The benefit of being in the desert is that the heat is very dry, and it is often humidity that makes us sweat a lot. Another drawback of August is that this month can bring the few rain storms that we see in Las Vegas. 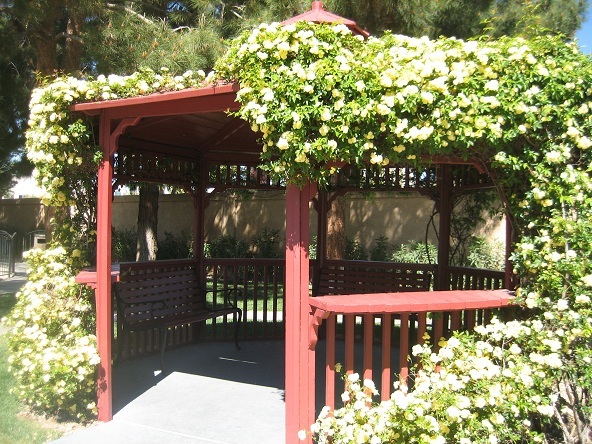 Spring and Fall are very lovely in Las Vegas, and these seasons last the longest. We have long, sunny days and the temperatures can be quite hot, but depending on the time of year, cool enough to be outdoors comfortably, especially at the beginning and end of the day. I am told that Las Vegas issues approximately 120,000 marriage licenses a year. That’s quite a lot of people walking down quite a lot of aisles, so it stands to reason that some of them will be celebrities. Possibly the most famous would be Elvis Presley and Priscilla Anne Beaulieu in 1967, but there have been plenty more celebrity unions in Las Vegas since then. Another of Las Vegas’ very famous residents, Frank Sinatra, aged 50 at the time, married a much younger Mia Farrow, then 21. They married in a private ceremony at the Sands on July 19 1966. Unfortunately their union only lasted two years, Mia was served with divorce papers in front of everyone on the set of “Rosemary’s Baby,” and the divorce was finalized in 1968. 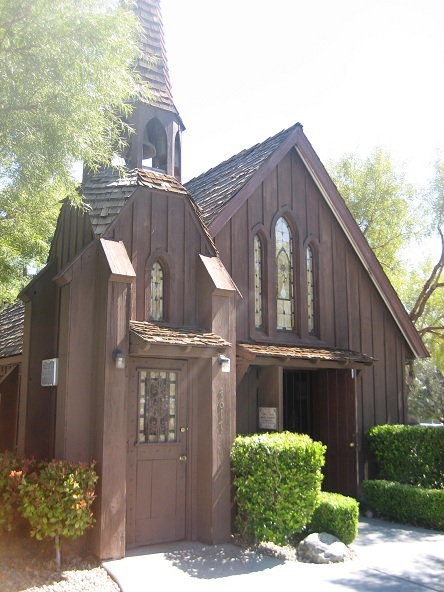 The Hollywood super-couple married in the Little Church of the West on the Strip in 1991. Their marriage was always overshadowed by rumours that Richard was gay. They divorced in 1995. In the days before she met Brad Pitt and became half of “Brangelina”, when she was just 24, Angelina Jolie married Billy Bob Thornton, 20 years her senior. This was back in May 2000, not long after she got her prominent “Billy Bob” tattoo. Angelina was marrying for the second time, Billy Bob for the fifth. 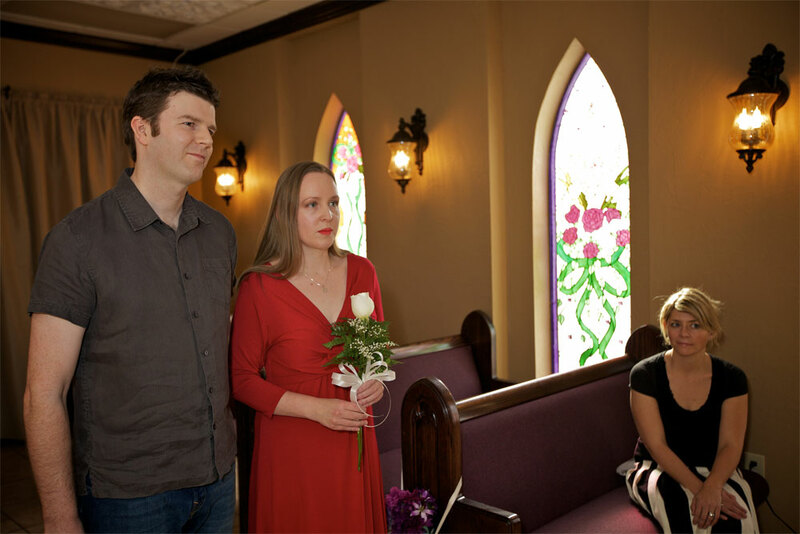 They married in jeans at the lovely Little Church of the West at the South end of the Strip. Both of them were doing crazy-in-love things at the time, such as wearing vials of each other’s blood around their necks. The marriage lasted until 2003. The Bon Jovi frontman married his sweatheart back in 1989 at the Graceland Wedding Chapel. I am pleased to report that they are still together and have two children. OK, OK, they’re not real people, but super-popular Friends characters, the on-again off-again couples Ross and Rachel had a hilarious drunken wedding at a fictional Las Vegas Chapel. Monica and Chandler were together at the time, and had been rolling died to decide whether they should have a wedding. Fans were thrilled to see them finally get married, even though it did end in divorce, the third for Ross. 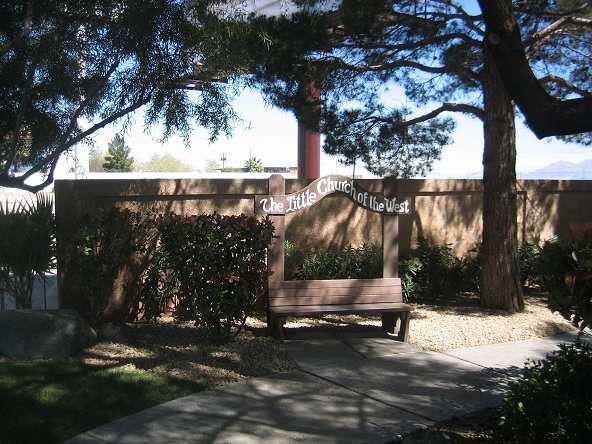 Oasis’ Noel married his bride at the Little Church of the West with an Elvis impersonator. In a nod to Oasis’ greatest influencers, Beatles music was played quietly on a piano during the ceremony. The pop singer was in Vegas for New Year’s ’03/’04 back when she was 22. She decided to extend the party by marrying her childhood friend, Jason Allen Alexander at the Little White Wedding Chapel in early January. She didn’t go for traditional wedding attire in choosing a baseball cap, jeans and a t-shirt, and a hotel bellman walked her down the aisle. This marriage famously ended a 55 hours later. After a proposal of “marry me or I’ll kill myself” by Guns ‘N’ Roses front man Axl Rose, lucky for him, Erin agreed. She was reported to be his inspiration for his song “Sweet Child O’ Mine”. 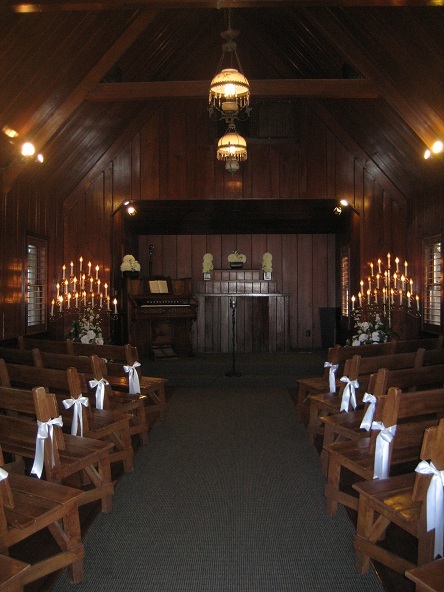 They married on April 28, 1990 at Cupid’s Wedding Chapel. Just three weeks afterwards, Axl filed for divorce, soon after that they reconciled only to get annulled less than a year later. This is not the typical union you expect from a Las Vegas wedding, but Vegas born-and-bred Andre married tennis champion Steffi Graf in a private ceremony in their Las Vegas home. They still live in Las Vegas now with their two children. High profile boxing champion Mike married his girlfriend and mother of his two children, Lakiha, who lived in Henderson, just outside of Vegas in 2009. His third marriage, they had their ceremony at La Bella Wedding Chapel. 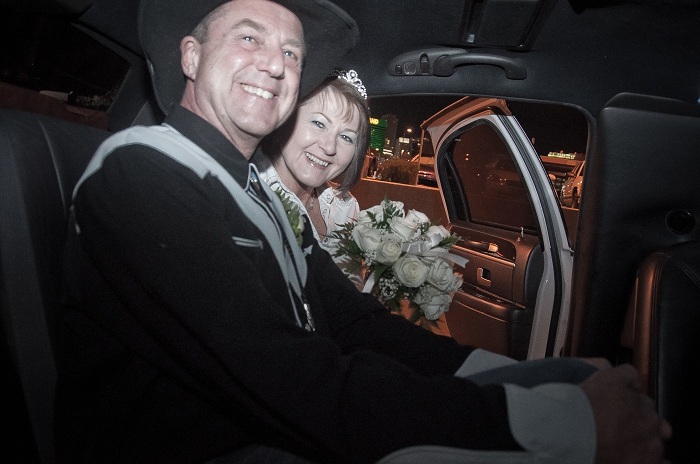 The couple got married in the back of a pink Cadillac at the Little White Chapel in Vegas, her fourth marriage. Seventeen days later, ex-nun Sinead announced their marriage ended, then some time after that she announced they were reunited. Last but certainly not least, when Elvis was 32 and reportedly the highest-salaried entertainer in the world, he married Priscilla Anne Beaulieu, who was 21. They had their ceremony at the Aladdin Hotel at 9am in a quiet ceremony in the hotel owner’s suite. I am a wedding planner and have been organizing destination weddings for couples getting married in Central Park, New York City for some time and, more recently, weddings in Las Vegas. Sometimes couples who contact me are weighing up the pros and cons of a wedding at home versus a destination wedding. Sometimes they are considering a couple of different locations for destination wedding. 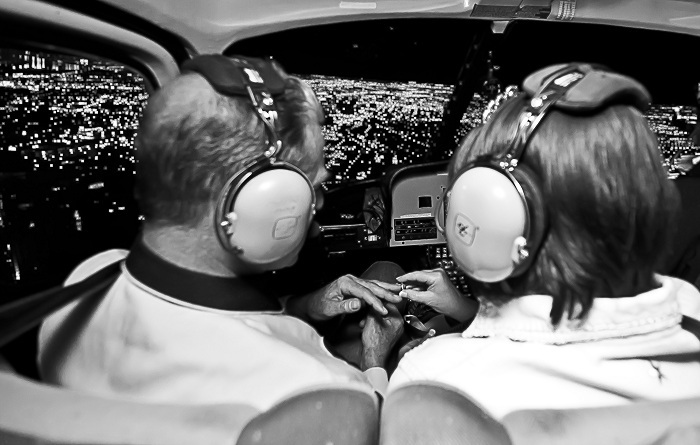 There are many reasons why couples choose to have a destination wedding, here are my top ten. simplifies the guest list – if you have a wedding at home this can often lead to feeling the obligation to invite everybody you know, and everybody your parents know! Many couples would prefer not to spend their entire wedding day doing the rounds, and chatting with distant relatives who they haven’t seen since childhood, isn’t it better to spend the most important day of your lives with the people most important to you? The more distant acquaintances are least likely to be able to make a destination wedding, so this keeps the guest list nice and short, and the couple is more easily forgiven for not inviting the bride’s sister’s hairdressers’ cousin. memories – of course the couple and their immediate family will remember their wedding as a very special day, but often for he guests all those family weddings at home tend to merge into a memory of one big wedding. Make your special day unique for your guests, too and go somewhere different and do something unique to you! A different location allows for more creativity with the venue, food, activities and attire, and your photos will really stand out. You could even add some local wedding traditions of the destination! costs – a destination wedding can turn out to be the economical option because it tends to keep the guest list smaller. If you just take your close family and friends with you, that can keep to budget down. In some cases the guests may pay for their own travel or hotel, which of course makes a huge difference to the budget. You could ask your guests to pay for their own travel expenses as their wedding gift to you instead of traditional gift, who needs more towels and toasters? 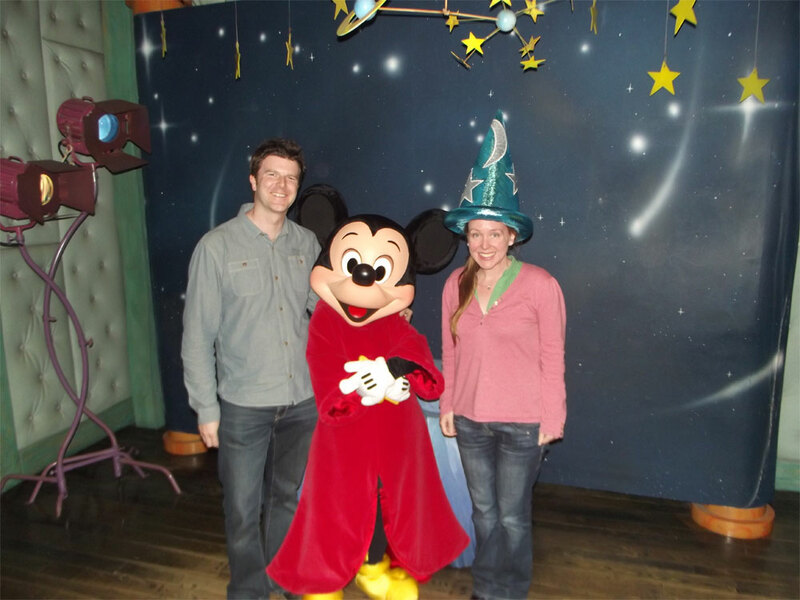 Many hotels and travel agents offer packages for special event groups. reduce needless anxiety – don’t waste time and effort visiting dozens of venues in your area, and worrying about who should sit with whom at the wedding breakfast or all the other details that the guests may not even notice! A destination wedding often involves fewer guests so should allow the couple to spend more time thinking about important things, like sharing their wedding day with their loved ones. In a lot of cases this means less worries about the weather being good, if you choose a location with sunnier or more predictable climes than your own. combination – going away for a wedding can combine a family reunion, sightseeing, family bonding, romantic travel a fun vacation with all the most important people in your life and your big event all in one, and this makes it something special for everyone involved. Kill two birds with one stone, and find a location that would provide something interesting for the couple and the guests, that way you will still be talking about the fun you had together at your Ruby wedding anniversary! it keeps the groom happy – it’s his day too, you know! And boys get excited about going to new places, and they can be involved in organizing the events the couples do with their guests, this is far more interesting for the guys than picking out flowers, colors or wedding favors. gets a professional involved – a destination wedding often involves hiring someone to help out with the organization side of things. This takes a lot of stress off the couple, and allows them time to relax and enjoy the scenery. The couple don’t have to search through the venues themselves, or meet with dozens of photographers, if you can find a wedding planner that listens and communicates well, and is on your wavelength, then they can take a lot of weight off your shoulders. They can use the tried and tested team of people they have used regularly, and the couple can be assured that all will run smoothly on their special day. In many cases a professional wedding planner will have preferential rates from their team, due to passing them such a lot of business, so can offer very competitive prices. minimize possibilities of feuds – the bride and groom are often from different towns, or even countries, and choosing one home town over another may cause difficulties within families. If the home town of one of the families is chosen over another, it could be seen as that family having the upper hand over the organization of the day. If the destination is somewhere different for both sides of the couple, this levels things, and will make that location a special place for the future. provide a more easily accessible location – if the bride and groom are from different home towns, and perhaps live and work in a third town, the majority of guests will have to travel to attend the wedding anyway. Not all towns have great hotels and places for people to stay, and often guests find they have to travel to the reception, and then further travel to their hotel, if you choose to have a destination wedding, you instantly have more places to choose from, and you can choose somewhere with lots of appropriate available accommodation that is easy to get to and from the reception. In many cases it might be that it is easier to choose a destination that could serve as a midpoint, and reduce travelling for many of your guests. everyone really gets to know each other – this is a great way for the bride and groom’s separate families to spend intimate time together and really bond and become part of each other’s families. In many weddings in this modern age, the couples’ parents don’t always know each other so well, and this could be a great opportunity for getting to know each other’s whole families. Because weddings away from home tend to take a few days rather than a few hours the whole party can spend a lot more time enjoying the event.